I am helping to develop a health sensor for use in clinical trials and need to integrate data from our sensor into OpenClinica when certain conditions are met. But, I can't figure out if that is doable. Is there a way to enter data into OpenClinica based on a state change? I see in the documentation you can schedule events but can you trigger events based on a condition being met? You can use a "rule" for this. Is it that easy? The trigger for the event is from the sensor. Who said it was easy.....I'm sure that all the OC experts in the Forum can help you to accomplish this. It's possible. In general, achieving an integration with another system requires programming, and OpenClinica is no different in that respect. Hopefully it attaches properly, but I've whipped up a conceptual diagram for how an integration could work. 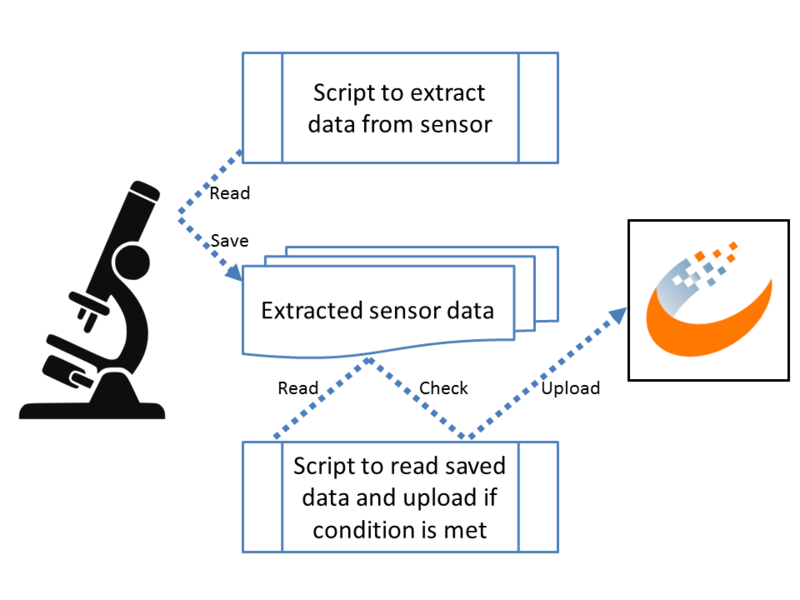 Firstly, a script retrieves data from your sensor and saves it somewhere for future reference. If this is a huge volume of data maybe skip this step, also it may be that the sensor has a feature for automatically exporting data. This programming could be done in pretty much any language. If you have programmers on your team already then you're set, the OpenClinica documentation  is pretty good at describing how to interact with it. Generally any pitfalls have been found before and are discussed on this forum. If you don't have programmers on your team, you could open a general discussion thread to invite people to contact you, or OpenClinica  has services along these lines too. Thanks Lindsay! I appreciate it. I'll discuss it with my programmer.